We work hard to make every one of our customers feel like family. 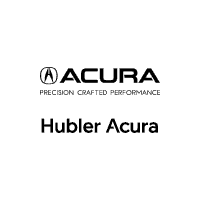 You can trust that Hubler Acura will find you the vehicle you want with professionalism and attention to your needs. Once you drive your vehicle off the lot, our relationship has only just begun. We’ll continue to provide you with all your automotive needs, including certified service and repairs, so you can get as much good use out of your vehicle as possible. Stop by and visit us today to discover why Hubler Acura is the award-winning Acura dealership in the Greenwood, IN, area, serving Indianapolis, Carmel and Fishers. We hope to have the pleasure of greeting you soon! Hubler Acura really is the one and only full-service dealership you need. Please feel free to explore our entire website to discover all of the great products, services and information we have to offer. If you have any questions, drop us a line or give us a call. Our neighbors from throughout Indianapolis, Carmel and Fishers, IN, are always welcome to drop by 1265 US Highway 31 S., Greenwood, IN 46143 to visit us anytime. We look forward to helping you find the new Acura or used car of your dream!